Kamal Nath is the 18th Chief Minister of Madhya Pradesh. He was ex-minister of Urban Development. He is one of the longest-serving and senior most members of Lok Sabha (Lower House of Parliament). He Born on 18 November 1946 at Kanpur , Uttar Pradesh, he is an alumnus of the Doon School. He graduated in B. Com from St. Xavier's College of the University of Calcutta. Nath represents the Chhindwara constituency of Madhya Pradesh. Interestingly, he has been elected nine times from this constituency. 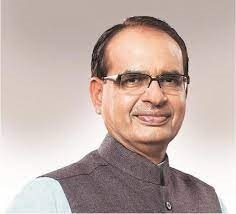 In May 2018, to lead the party in the upcoming assembly election, he was elected as the president of Madhya Pradesh Congress Committee. In 1980, he was first elected to the 7th Lok Sabha. In 1985, he was re-elected to the 8th Lok Sabha, in 1989 to the 9th Lok Sabha and in 1991 to the 10th Lok Sabha. In June 1991, he was made Minister of Environment & Forests. He also served as union minister of State, Textiles (Independent Charge) in 1995. He has close ties with the Nehru–Gandhi family. For The Institute of Management Technology (IMT), Kamal Nath serves as president of the board of governors. He is chairman of "Madhya Pradesh Child Development Council" and patron to the Bharat Yuvak Samaj (Youth Wing of All India Bharat Seva Samaj).